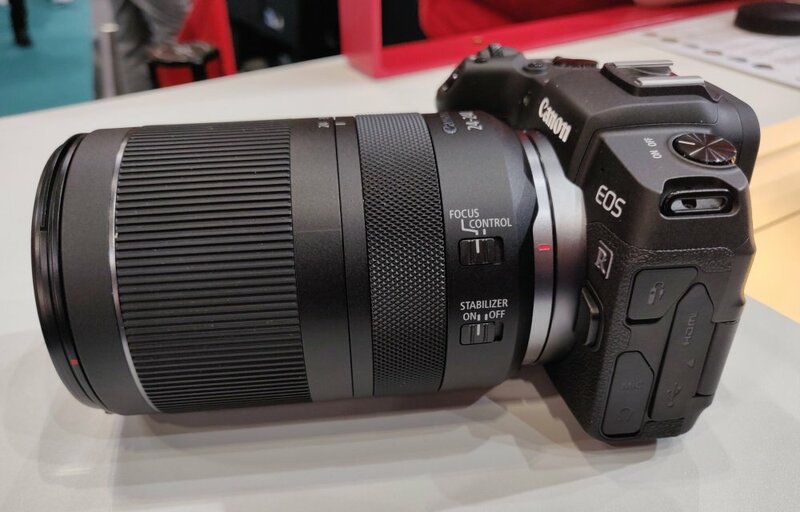 Canon RF 24-240m f/4-6.3 IS USM Hands-On - We go hands-on with the new Canon RF 24-240mm f/4-6.3 IS USM lens for Canon R, and Canon RP, at The Photography Show 2019. Canon have on display, for the first time in Europe, the upcoming range of RF lenses, at The Photography Show, 2019, at the Birmingham, NEC. We had a quick look at these new lenses, which are designed specifically for the Canon RF system, which includes the Canon EOS R, and Canon EOS RP. The RF 24-240mm f/4-6.3 IS USM super-zoom is an extending zoom lens, with the control ring placed closer to the camera body for easier access. 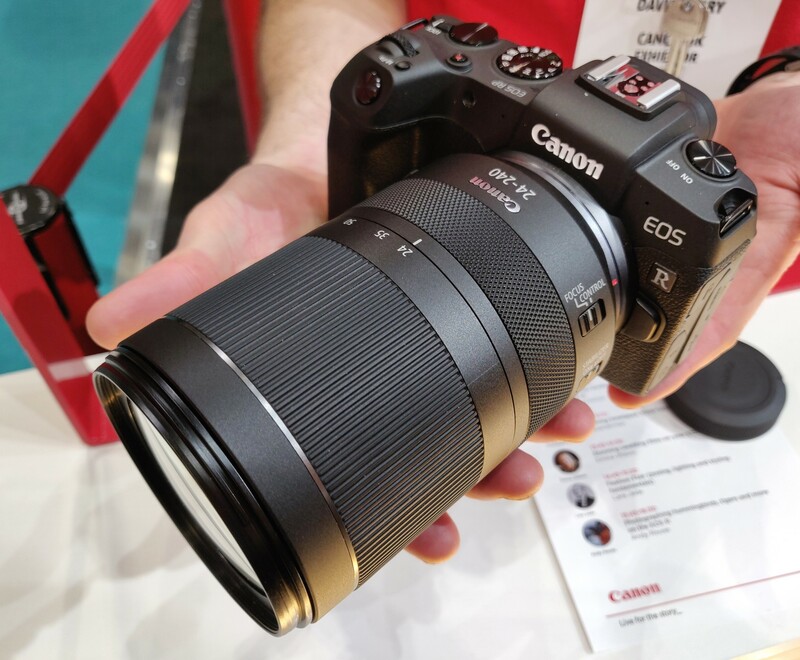 Shown here mounted on the Canon EOS RP, it will make for a compelling all-in-one solution when it is released. The lenses on display are mock-up designs.